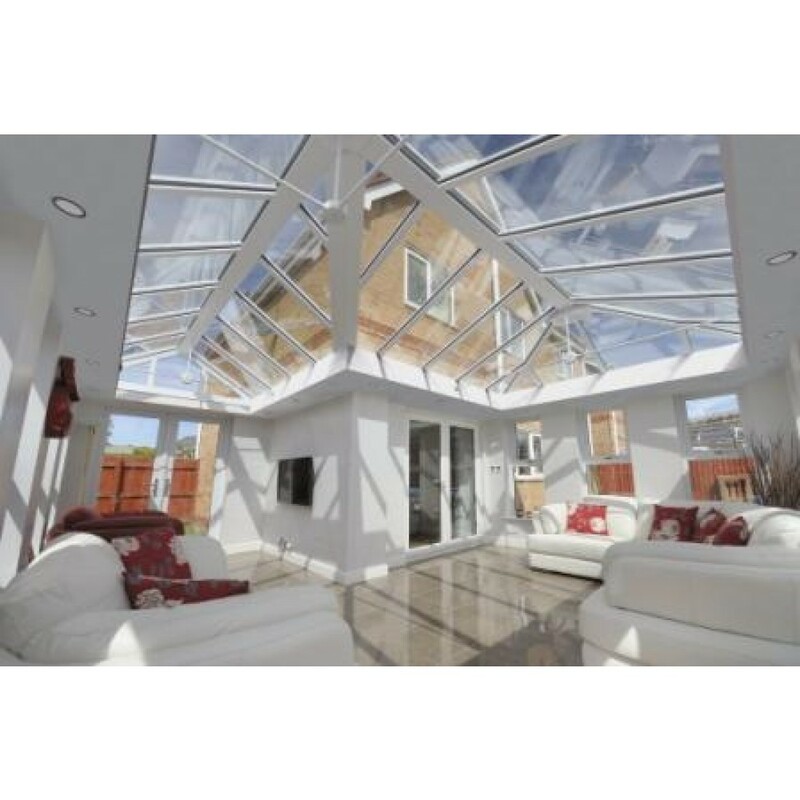 Ultraframe Living Room is a cost effective way of adding a contemporary feel to our conservatories. Ultraframe have added to their roofs the internal pelmet which cleverly adds the option to install down lights whilst hiding all the cables. This pelmet can then be plastered and painted to match the internal wall of your conservatory to give it a "Living Room" feel. We also offer the option to change the look of the guttering to the perimeter of the Ultraframe roof, from the PVC classic guttering to aluminium ogee i style which is more in line with our Orangery style. 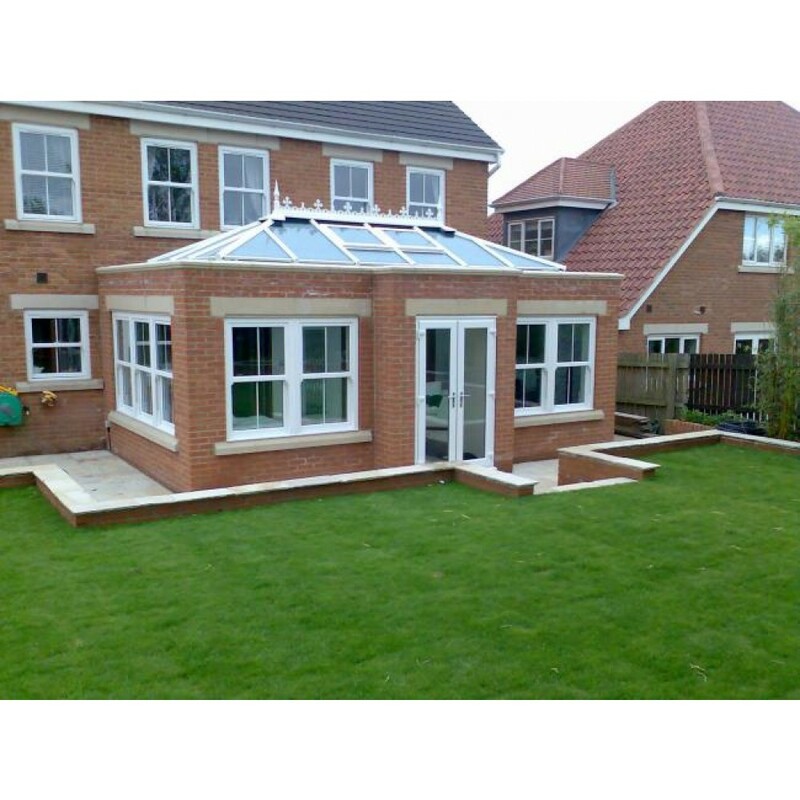 So, by adding brick piers and using the Ultraframe Living Room Roof system we have added another greate option for home owners who wish to have an Orangery style conservatory without the extra costs involved.